This is a 1946 ad for a Western Electric Hearing Aids! The size of the ad is approximately 3x5inches. 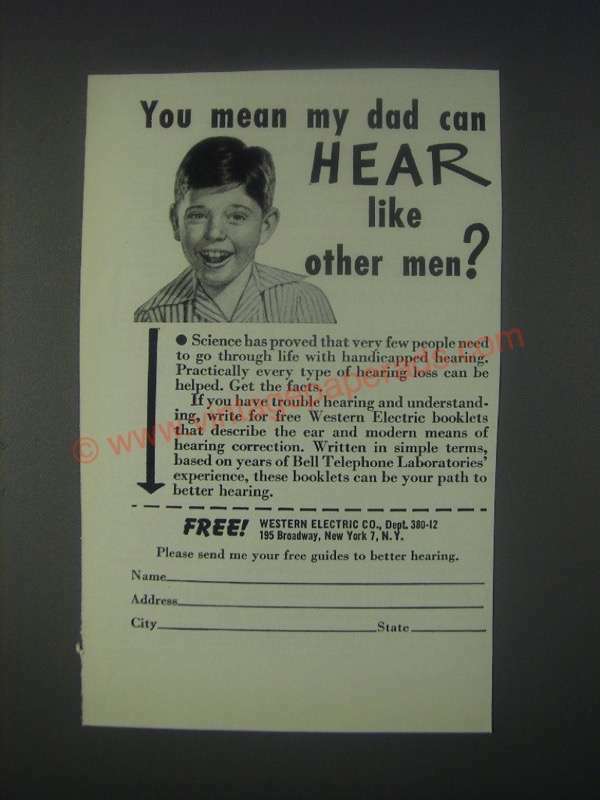 The caption for this ad is 'You mean my dad can hear like other men?' The ad is in great condition. This vintage ad would look great framed and displayed! Add it to your collection today! 1948 Western Electric Hearing Aids Ad - Hear Better!